What’s Causing My Tooth Pain? Generally speaking, any tooth pain you might be feeling is associated with the nerves inside your tooth or, more specifically, within the tooth’s pulp. But the type of tooth pain differs in type and severity, from general sensitivity to something far more intense—at times even debilitating. Sharp tooth pain when chewing. If you’re chomping down on your favorite chips and salsa and feel a jabbing pain, odds are you’ve got a cavity, a cracked tooth or a filling that’s damaged. It’s important you’re seen by the dentist as soon as possible to find out the underlying cause. If it’s a cavity or if the filling needs to be replaced, your dentist will be able to address it quickly. If it’s something more severe, or if a root canal is required, a referral to an endodontist may be necessary. Tooth pain caused by sensitivity to cold or heat. There are multiple reasons you might experience tooth sensitivity when you drink a cold glass of water or hot cup of coffee—and most of them don’t signal something serious. If you’ve recently undergone a dental treatment, such as having a new filling, the tooth or surrounding gum can be tender for a few days. Taking an over-the-counter pain reliever or anti-inflammatory (like Tylenol or Ibuprofen) will usually manage the problem. Other sensitivity may be a sign of a loose filling, gum recession or even damage from brushing too hard. Be sure to use a soft-bristled brush and switch to a toothpaste for sensitive teeth. Try to avoid hard foods and beverages that are extremely hot or cold (see above). In either case, if tooth sensitivity hasn’t gone away after a few days—or if it seems to linger for more than a few minutes after consuming hot or cold foods or liquids, it’s time to schedule an appointment with the dentist. Aching pain in your top back teeth. Especially during cold, flu and allergy season, this can be a tricky one. Oftentimes, this type of aching pain or pressure can actually be caused not by your teeth, but by your sinuses. Your sinus cavity is located directly above your back teeth, so if you have congestion or a sinus infection, that’s where you often feel associated pain. At the same time, however, pain in your back teeth can also be related to clenching your teeth and jaw. So what do you need to do about it? If the pain lasts more than a day or two or if it grows in severity, it’s time to schedule your appointment with a dentist or with your family doctor. Severe tooth pain that lasts. 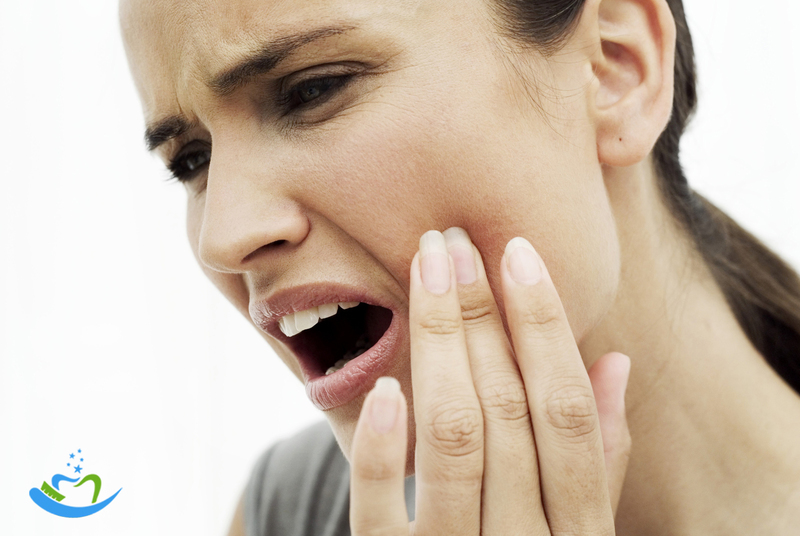 If you’re experiencing extreme tooth pain, you need to contact a dentist immediately. This type of pain, which may be accompanied by pressure and sensitivity, can indicate an infection or abscess. Failing to address it quickly may result in damage to the tooth, gum and/or jaw—damage that can require extensive (and sometimes costly) treatment. Remember: the underlying cause of tooth pain or sensitivity varies and the pain you experience may differ from what’s common or usual. If you’re unsure, we always recommend you see a dentist to rule out anything serious. It’s always better to be safe rather than sorry when it comes to good dental health. For more information about tooth pain, contact Dr. Cody Haslam in Billings, Montana at (406) 652-7313.